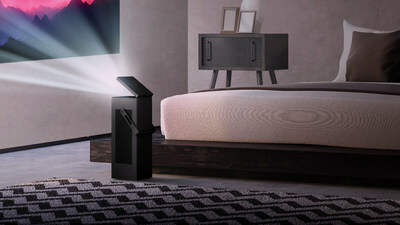 ENGLEWOOD CLIFFS, N.J., Jan. 4, 2018 /PRNewswire/ -- LG Electronics (LG) today announced the HU80KA projector, its first 4K UHD1 model designed to deliver ultra-sharp video in a compact, beautiful design that is sure to enhance the home cinema experience. Earning the coveted CES® 2018 Best of Innovation award, the HU80KA further establishes LG as a leading industry innovator in LED projectors. 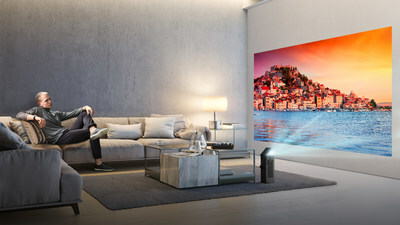 1 4K UHD resolution with more than 8 million discrete pixels by XPR (Expanded Pixel Resolution) video processing.